We are one of the leading manufacturers, traders and exporters of optimum quality Rod Rolling Mill. Manufactured in compliance with the industry laid standards, these mills are commonly used to reduce the cross-section of a wire rod. 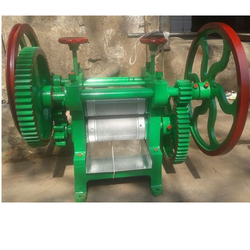 Owing to the robust construction and easy maintenance, these mills are highly demanded in the market. We are manufacture and supply of Three Roller Mills that perform on the principal of attrition and compression. Our offered products are of optimum quality that can be easily handled and require less maintenance. We can also customize the range as per the specifications of customers with respect to the sizes and dimensions. Dimensions: 12" x 14" x 9"
Refining Roll Mills are in wide spread use in Soap and Detergent industry. Special Chilled casting rolls are employed which rotate in roller bearings. The rolls are interior cooled with water to percolate undesirable heating of the mass during operation. There is continuous water circulation system in all the rolls. We are one of the leading companies that manufacture and export a wide range of Roller Mill Machine all across the world. The roller mill consists of C.I. casting body and is highly durable in nature. These millers are excellent for milling flour and cutting and grinding different kinds of grains. Our products are easy to operate and needs less maintenance. Our company also manufactures quality Rolling Mill UN Coiler which are used in wide application in the rolling mill and industry. These products are manufactured from quality raw materials which are manufactured by a expert team of technicians. These are quality tested and are available in standard dimensions to suit the need of our customers. We have carved a niche in the market offering best array of Precision Rolling Mill For Bimetal Strip Sinter Line at affordable rates. 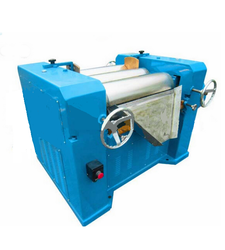 We are manufacturing heavy duty sheet, wire and Jalaja rolling machine. Automatic sheet forming machine is under development for 100% pure coin making purpose. In this machine sheet thickness variation is controlled during rolling operation through electronic circuit. In order to accomplish the changing demands of our patrons, we are providing a quality assortment of Roll Mill. These products are designed at our end by making use of optimum quality material in adherence set with industry norms. Material which we use in production process is purchased from certified vendors of the market.